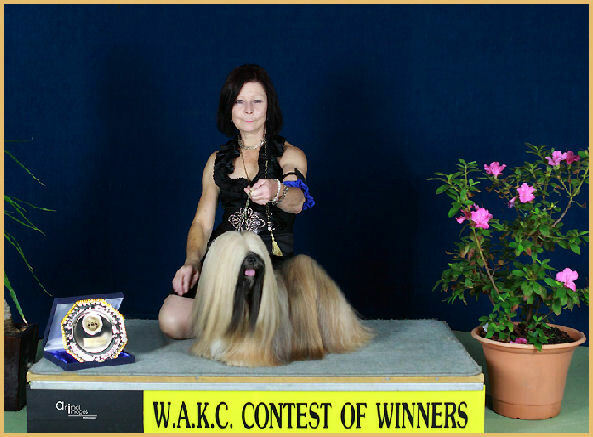 Welcome to the homepages of Kerrie Mansell of Kailasa Lhasa Apsos. 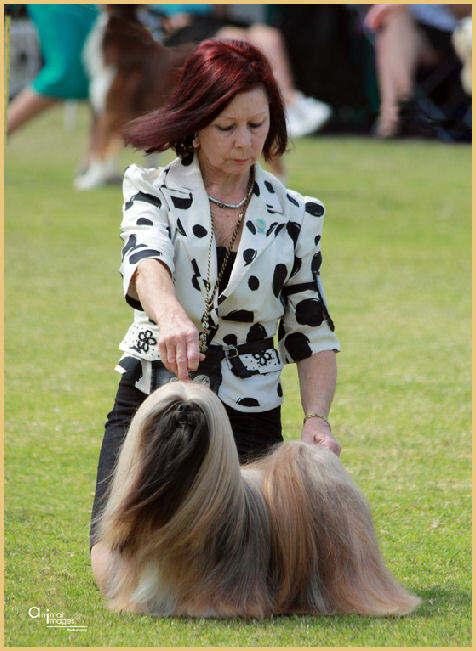 I hope through these pages to tell you a little about this delightful breed, its evolution in Australia and to showcase some of my own dogs, of which I am very proud. I live with my Lhasa Apsos in a lakeside suburb not far from sunny Perth in Western Australia. I have always owned a dog and have grown up with the companionship of at least one small hairy friend and today, it is the Lhasa Apso; a breed with which I have been involved since the beginning of the eighties. My prefix, Kailasa, was derived from Mt Kailasa, situated in western Tibet and also known as Kang Rimpoche; the Great Ice Jewel. Its sacred and auspicious nature as well as its likeness to my first name's initial and the breed's name, made it an obvious choice for me. My involvement with this breed is all encompassing. 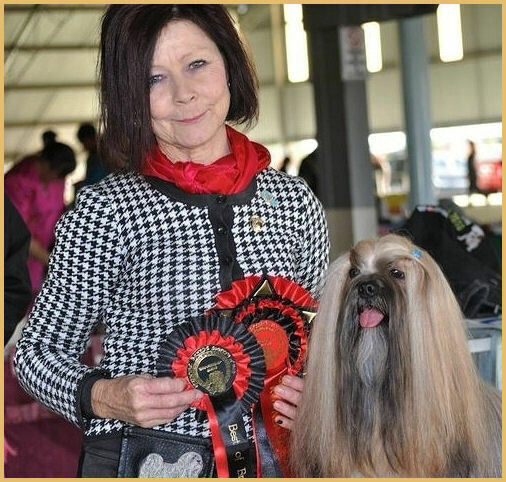 I participate in the showing and occasional breeding of Lhasa Apsos , judging of conformation as well as writing for a national magazine devoted to the dog fancy. I am also concerned about health issues related to this breed and am a delegate for ILAC in Australia. Owning Lhasa Apsos has allowed me to enjoy an unconditional love and relationship with this wonderful breed as well as make some very special friendships with others who share this bond. As you will see, Lhasa Apsos are more than a passing interest for me. They are an integral part of my life.